Wow, your passion makes me want to run out and get it. Of course the cover alone makes it worth having. Nice review. Ian Somerhalder has finally responded to rumors that he's a favorite to play Christian Grey role. I have never heard of this book or author before but I'll stay on your blog a bit longer just to stare at that cover! it's really beautiful. Keertana seriously you have done an awesome job reviewing this book. I usually find books that I adore really hard to review too, but just how much you loved this book comes across very clearly in your awesome review. I think I may have to check out this book one day because the world building and characters sound great! Plus, the dragons! Double the plus, the COVER!!! If your beautiful review for her works didn't get to me... the mention of dragons did! :D It is such a great book that makes you feel as if it was written for you. So going to have to check out her books. I have them on the wishlist and so need to move them up! Isn't it the best thing ever when you discover an author that seems to be writing for you? A fantastic mind meld. Clearly my big flaw is that I have not read anything by Neumeier yet. Is this a standalone? AKA is it related to HOUSE OF SHADOWS? If they are separate, which would you recommend I start with? ALSO, I'm wondering why this most brilliant book only got a 4 from you? Just curious, since I know you are careful of your ratings. But anyway, thanks for getting my interest up in this book, friend. Wow, this sounds AMAZING, Keertana. 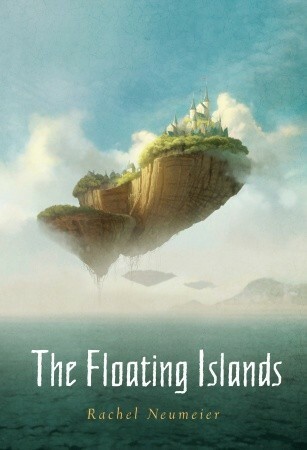 I've never heard of this book or this author, but floating islands? Lovely characters? DRAGONS? I am so there! I know what you mean about not being able to find the words for a review, too. I have a couple of books I just love but have never gotten around to reviewing, and I've been thinking about doing mini reviews for all. But again...SOME words are necessary for that, too. Hah.